I am privileged to be called "Aunt" by some very special nieces and nephews. This past summer, we spent time with my "little" brother and his family in Canada. My brother is 6 years younger than me but he's over a foot taller. I still remember when he was born and I got to play dress-up and help my mom take care of him. Now he's a daddy to four amazing little ones...the newest is just a few weeks old. 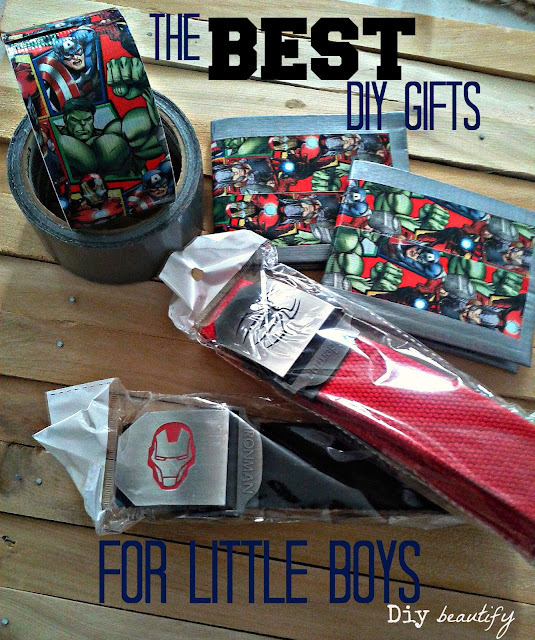 I decided to make duct tape wallets as Christmas gifts for these little stinkers! Read on for the tutorial. My brother is such a great daddy. He pulled out face paints* one morning and painted his oldest son's face. He does it all the time...no occasion...just for fun. I just LOVE these kids. They're fun and loud and FULL of personality! See that little one in the corner? Yeah, the little guy with the sippy cup. What a little cutie right? Don't you just want to gobble him up?? Well, the Duct Tape Wallets came about because of something this little fella did while we were visiting. . . .
His sweet momma and I were getting ready to go shopping and she grabbed her purse to get her wallet. Whatdya know, her wallet was open and a bunch of her credit cards were missing. . . .Uh Oh. Apparently Mr. Cutie here has made it a habit to 'borrow' his mom's credit cards and tuck them away in private places....just in case he might need them later (a guy's gotta have a ready supply of funds ya know!). I decided these little stinkers would get their OWN wallets....complete with 'credit cards' so their poor momma wouldn't have to go hunting for hers anymore :) Big brother hasn't been known to pull this stunt, but I thought he would enjoy getting a wallet too! I remember when my boys were little...if one of them got something cool and the other one didn't...there could be trouble! 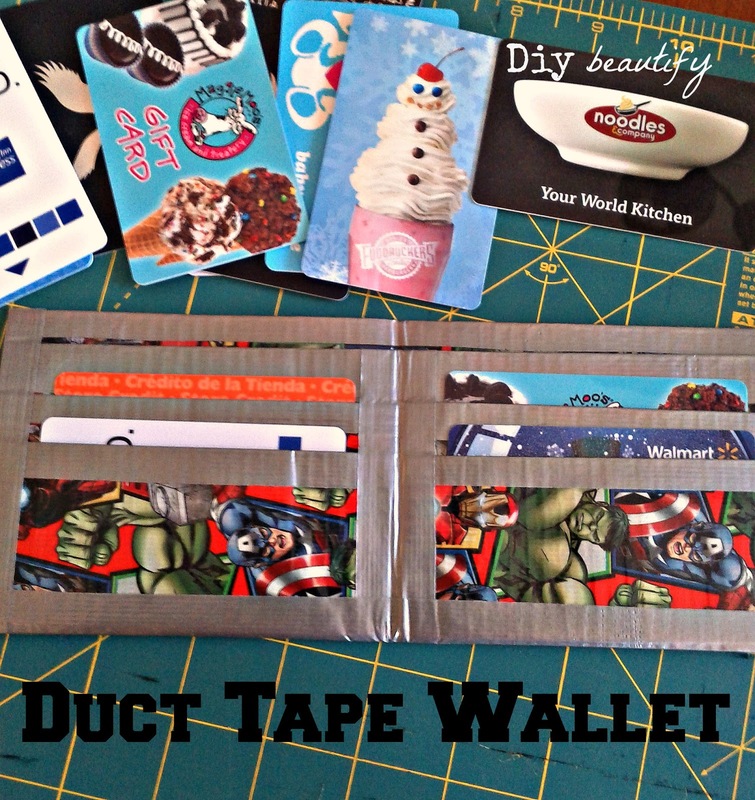 So I started searching the web for easy-to-understand duct tape wallet instructions. I ended up combining two different tutorials, this tutorial and this one and found this worked best for me. By the time I'd finished one, I had it down and the second came together super-quick! And lots of room for credit cards. I spent the rest of the summer collecting cards from the various places we visited so that I could stuff their wallets full! Notice that all the edges are trimmed in a contrasting color. I just used regular duct tape for that. I cut it in half width-ways. It gives a nice, clean look and hides all the raw edges. There are so many fun duct tapes to choose from now! I picked Avengers* because these wallets are going to some pretty cool Super Heroes. I also found these awesome Super Hero belts* online, so this will be their Christmas gift this year. I hope they like their gifts, it looks like I'll be hearing about it if they don't, lol! 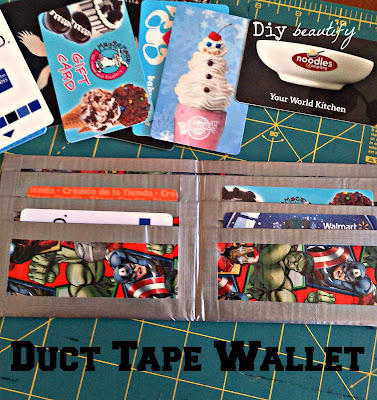 Do you know any little boys who would like to get a duct tape wallet for Christmas?? 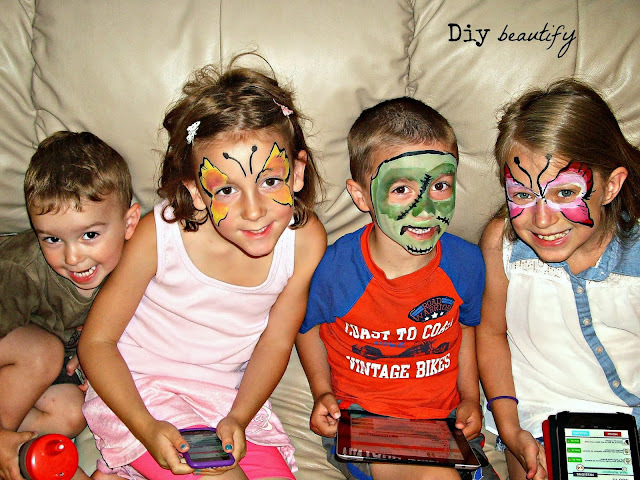 Have you seen my duct tape beach bags? They're more 'girly' and lots of fun to make; plus they're waterproof which makes them perfect for the pool or beach! 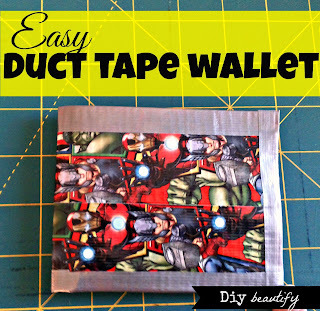 And I wrote a step-by-step tutorial for duct tape wallets with credit card slots...you can find that here. Such adorable photos! And the wallets are a great idea! Thanks Amy, they are cuties, aren't they?? 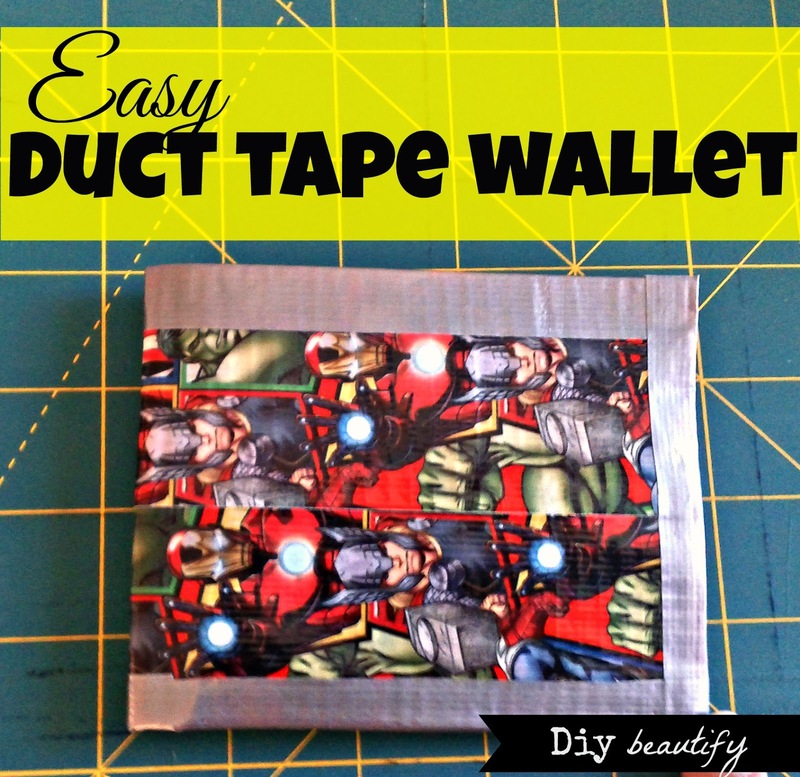 The wallets are so fun, with so many duct tapes to choose from! I LOVE crafting with duct tape so much! 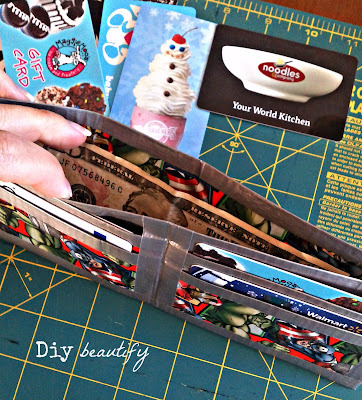 Your wallets turned out so well! Just finally read this. Awesome!! 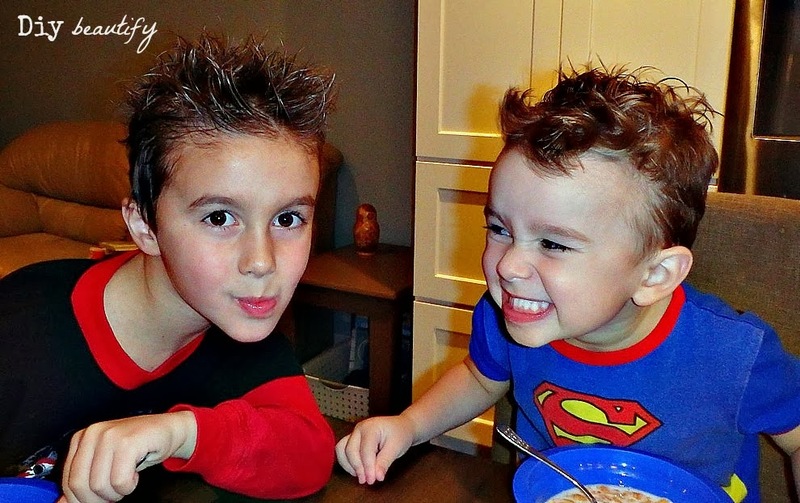 The boys will love them and anything that has a superhero on it is a hit. 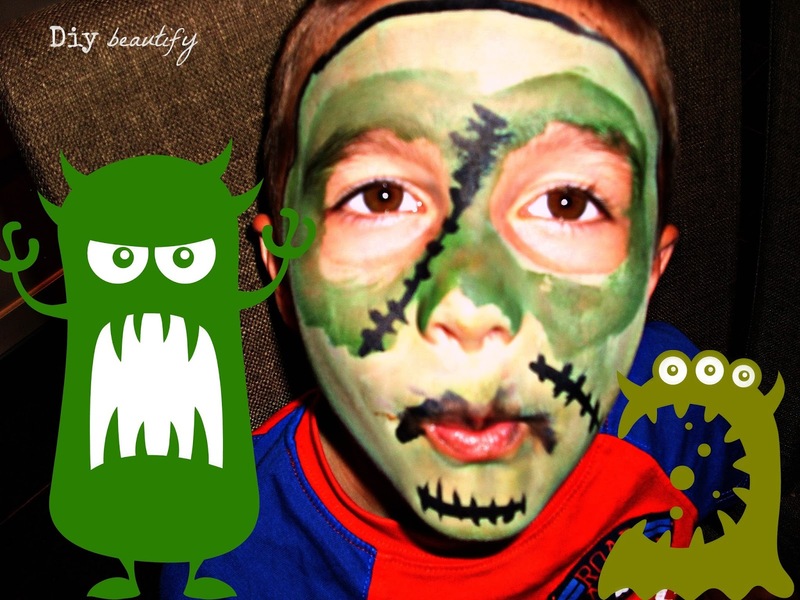 Can you believe Joel likes to potty train and read the sears catalogue - "hunting for the hulk"?? 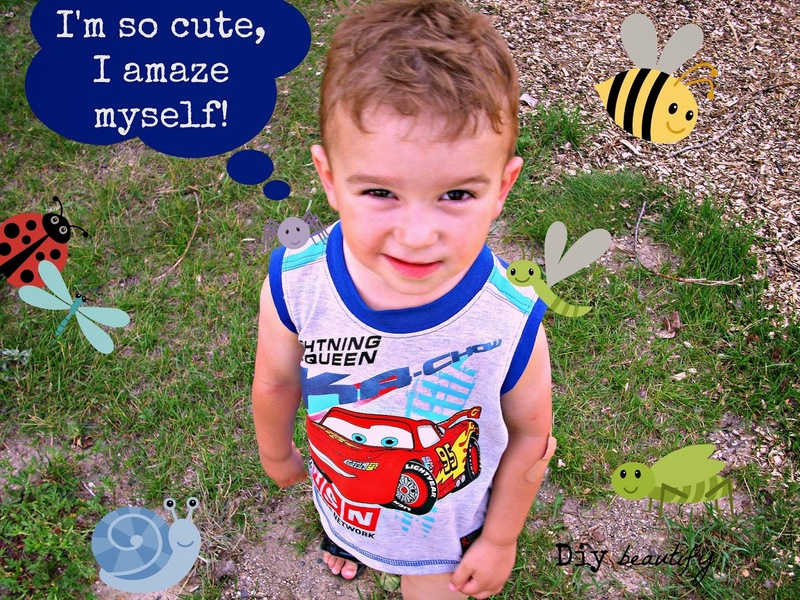 It's super cute... great idea - thanks for all the love on behalf of the boys!